The Golden Spoons: Feeling Scrooge-y! Have you ever heard the expression "herding cats?" It's supposed to refer to an impossible task. I'm actually a dog person. I'm really not fond of felines at all, but I suspect actually attempting to herd cats would be quite frustrating. I'm very allergic to cats also, which would make the job that much more annoying. A day for those of us who feel like we’re tasked with the impossible, Cat Herders Day recognizes the frustration of trying to manage the unmanageable. Whether it’s work, home, school or other areas of life, if it feels like herding cats, today’s your day. I spent a good part of my day today trying to finish up my Christmas shopping and it felt very much like herding cats. By the time I had to go get in the carpool line at my kids' school, I was frustrated and, quite frankly, feeling pretty Scrooge-y. 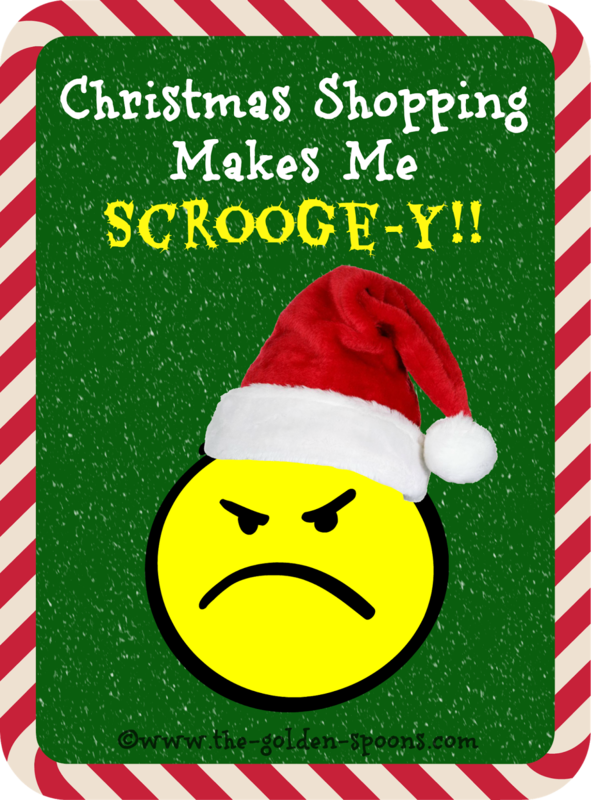 At the risk of sounding exceptionally "Bah Humbug"-ish, here are some of the things that frustrate me when I'm holiday shopping. Traffic - Roads and parking lots are packed and it seems, sometimes, the holidays make people lose all common sense and decency behind the wheel! Inconsiderate people - The people who won't move because they are oblivious to the other shoppers waiting to get to that same item; the people who cut you off for a parking space (see #1), the people who hit you with the door at the post office because they are in such a hurry and, then, they don't even apoloigize (Yes, that happened) - people forget their manners when they are Christmas shopping! Crowds - There are just people everywhere. Weather - Today, in NC, it was about 70 degrees and raining - not very Christmas-like weather. Items in the wrong place - I was looking for a book and the computer said the store had it and even showed me where it should be located on the store map. I looked three times. It wasn't there. Items out of stock - The other book I wanted to buy is only available online. Money - Christmas shopping certainly isn't inexpensive! The nagging sense that I'm forgetting something. - See #8. For the entire month of December, I have that feeling that I am forgetting something very important. General commercialism - I was talking with a friend today about what gifts we are getting our children. We are both having the same dilemma - our children don't need anything and, really, they don't even want very much. We, however, are running all over town stressed out about finding all the right presents to put under the tree.We do it to ourselves, but it totally overshadows the real meaning of the holidays. Despite the impression you probably have by now after reading my list, I really do love Christmas. In fact, it is my favorite holiday. I love the time with family and friends. I love the excitement and laughter. As I typed this, two of my girls were in the next room giggling as they decorated a gingerbread house. Despite the shopping headaches, I love seeing the eyes of someone I love light up when they open their gifts. Sometimes, like today, I just get caught up in the shopping and "gotta get it" mentality. I forget what the season is really about. Deep down at the core, that is what really gets me frustrated and angry - my own failure to keep the "busy" from getting to me. For now, I'm going to shake off the "Bah Humbugs," spend some time with my family, and try to remember my Amazon password for all the shopping I still have left to do!!! Have you finished your holiday shopping yet?? Better yet, have you started?? We'll be taking the rest of 2015 off to enjoy the holidays. 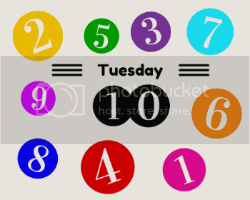 Starting in January 2016, #TuesdayTen will only happen once a month on the first Tuesday. More details to come!